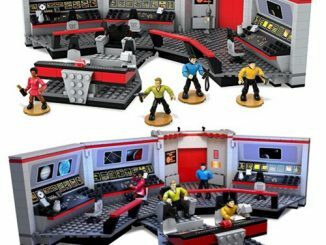 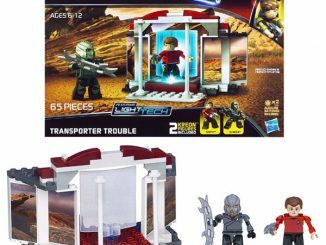 This Star Trek: The Original Series Mega Bloks Transporter Room Playset is based on the Mirror, Mirror episode when a doorway to a parallel universe opens in the U.S.S. 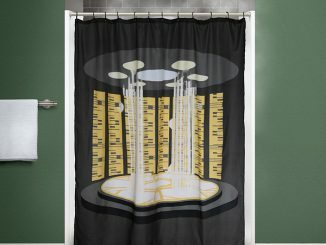 Enterprise Transporter Room. 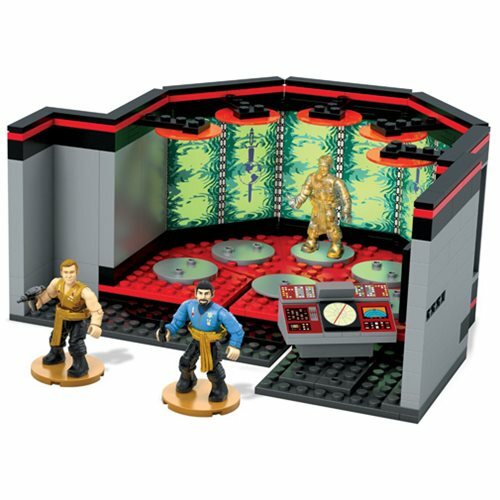 This Transporter Room features six platforms, a computer console, interchangeable glow-in-the-dark wall panels, and hinged sections that open up to display up to six figures. 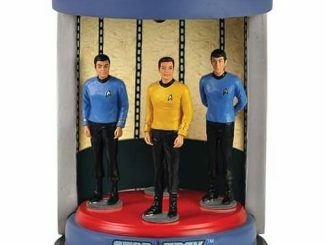 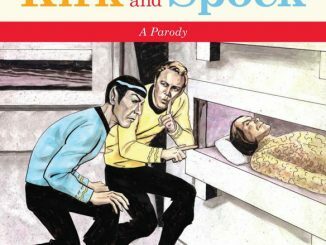 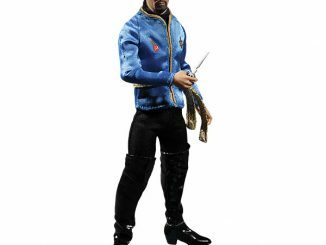 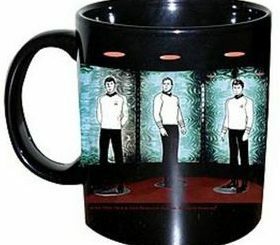 The set comes with three micro action figures, including Captain Kirk, Spock, and a translucent, materializing Scotty. 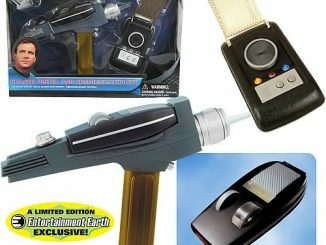 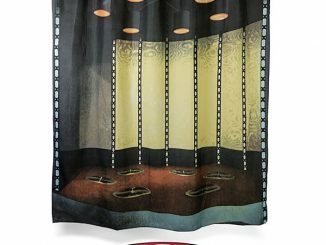 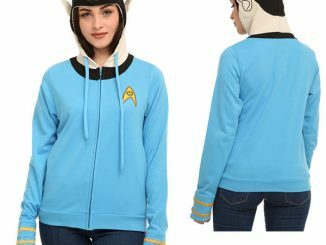 Only $43.99 from Entertainment Earth.